I am now porting the game to the Atmos and Electron (which are also 6502 computers). After that, I will also make ports for 6809 and Z80 computers, so keep tuned! I was rushing this morning trying to announce the game release on various forums, thus the lack of self introduction. Sorry for that! So I am a regular of the AtariAge forum, where I got a lot of support throughout this project. I am French, but I live in Kyoto Japan, and love developping games for 8bit era computers. My first computer was a Thomson MO5, and I hope to port this game also to the MO5/TO7 (and other 6809 based computers). 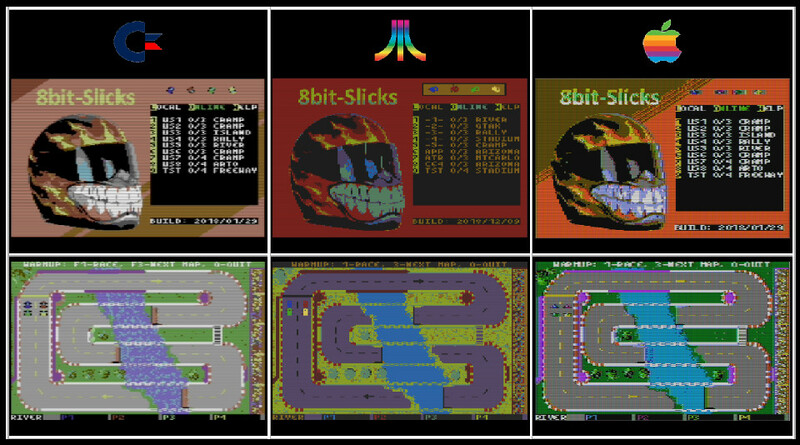 also prior to forgot it... ¡Congratulations for your online multiplayer game for these 8 bit machines! Congrats 8bit-dude. Thanks for sharing ! ¡Bienvenido al foro y gracias por hacernos saber de tu desarrollo! Welcome to the forum and congrats for such an multiplatform effort! Thank you for sharing and welcome to the community. First of all welcome to Retrowiki! Congratulations for finally bringing to reality what some of us were hoping to become reality since long time ago: a multiplayer game with real cross-platform support. Im in love with you guys!! thanks!!! this weekend will be great!! If you check the download page, you will see a list of future platforms to which I plan to port the game. 8bit-Dude escribió: If you check the download page, you will see a list of future platforms to which I plan to port the game. Oh my god... that can be fantastic, really!, its a very good idea. On MSX computers, We've got 3 different ethernet cards, and only 1 online game, connect 4. Also, we've got those mini games available for symbos. With that universal ethernet adapter, this stuff must be muuuuuch easier! !